by Karimah bint Dawoud, Muslim chaplain & environmentalist. 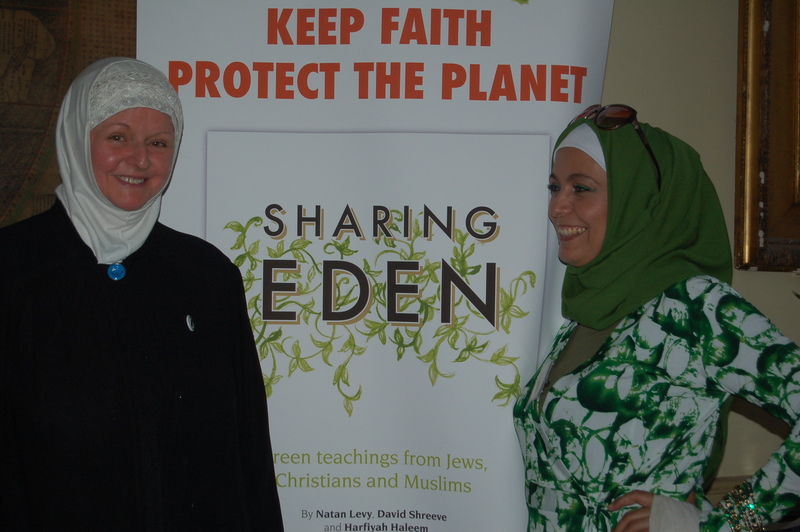 I was honored to be invited by Lynsey Swan to the launch of this wonderful new book, Sharing Eden, written by a wise elder ECO warrior, Harfiyah Haleem, dynamic Rabbi Natan Levy and suave yet serious Christian, David Shreeve. There was an amazing energy in the room last night; people of the three Abrahamic faiths all passionate about the natural world we live in and its future. I invited two of Karimah’s Cuisina partner organizations, Chandrika Dalpat the manager of Meanwhile Gardens, winner of Royal Geographic Award and Rosalyn Brooks, director of Farm the City London. It is the beginning, inshallah, of an awakening of the Abrahamic masses towards the ECO system and the planet we have been given to look after. “Sharing Eden” is a pocket size book that is easy to read and packed full of gems from the three Abrahamic faiths; Judaism, Christianity and islam, regarding the planet. The chapters are broken down into sustainability and waste, water, energy and natural resources, climate change , food, biodiversity and regeneration. I have read the book and it’s easy to read, I would advise everyone who cares about planet to buy this book; as a reference to what the three Abrahamic faiths think about the environment, to educate ourselves about the things that we do not know and or are neglecting.It’s a bargain at £4.99, from Kube Publishers. The book is full of quotes from the Torah, Gospel and Quran about the earth and it resource and our responsibility for it, this writing is backed up with real life ECO actions from its writers mashallah. 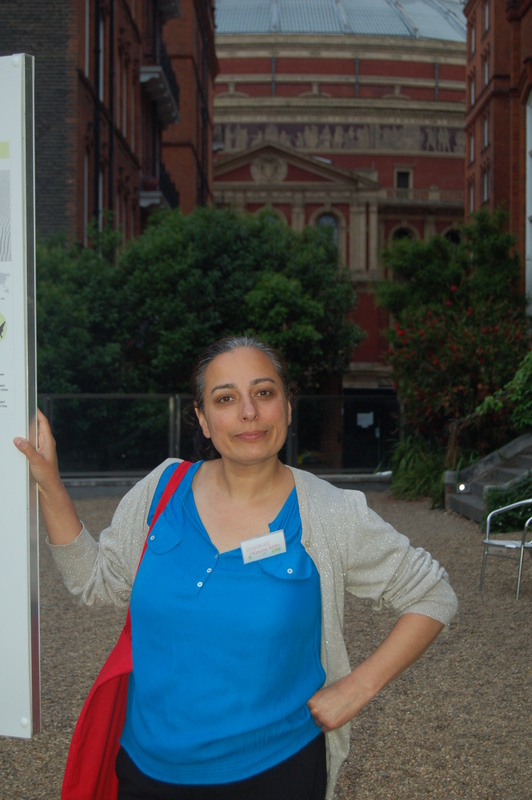 The launch was held at the prestigious Royal Geographic Society and it was a humbling experience to be in the company of elders of these faiths who knew so much more about the environment than I did. -Alleviate poverty through projects specially designed to deal with sustainability issues. 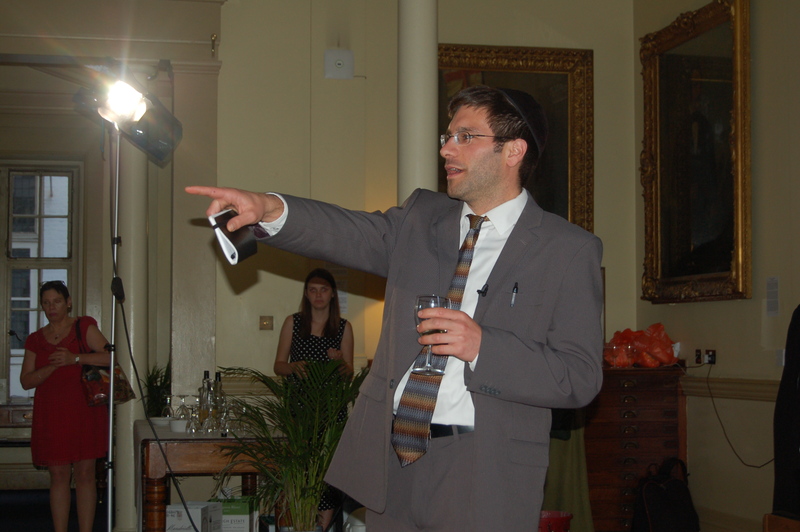 Rabi Natan Levy is the rabbinical expert for the London School of Jewish Studies Responsibilities Unit, he was appointed Environmental Liaison to the Chief Rabbi’s office and he is passionate about environmental justice and global morality. 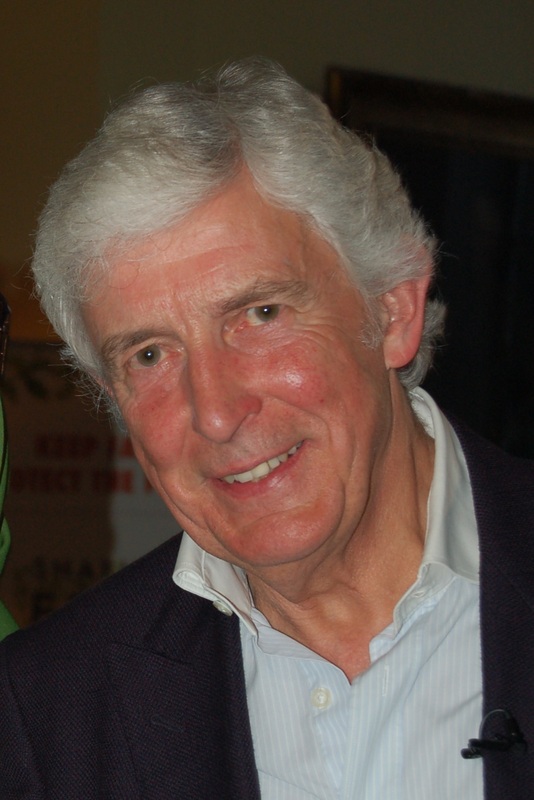 David Shreeve is the director of The Conservation Foundation which he co founded in 1982.He is also the Environmental Advisor to the Arch Bishop of Canterbury. He was awarded a Lambeth degree in 2003 in recognition of his influence in the helping The Church of England to understand of environmental issues . ” World leaders need to do more for the environment”. It is important that we all, especially people of faith, get our hands dirty with the soil that The Creator has given us that provides our food, our sustenance. It is important because its our duty and something we may be questioned about on the Final Day. May Allah make it easy for us all ameen. Previous Post KARIMAH’S KEDGEREE – A Taste of the Raj. A great event, ma-sha-Allah. So glad our world religions are making a greater ‘green’ movement; this book should be available in libraries and schools throughout the UK. Wow! your were quick off the mark to get this all written up here. Nice photos too. Many thanks. Just one important correction: Fazlun Khalid is the founder and director of IFEES, not me! Thank you Karimah, that’s great. We really enjoyed meeting you, Chandrika and Ros. 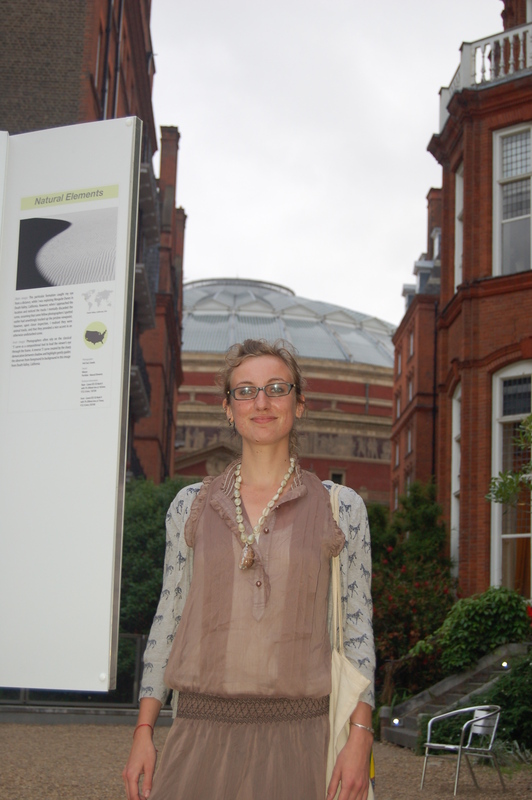 I’m a trustee of IFEES. 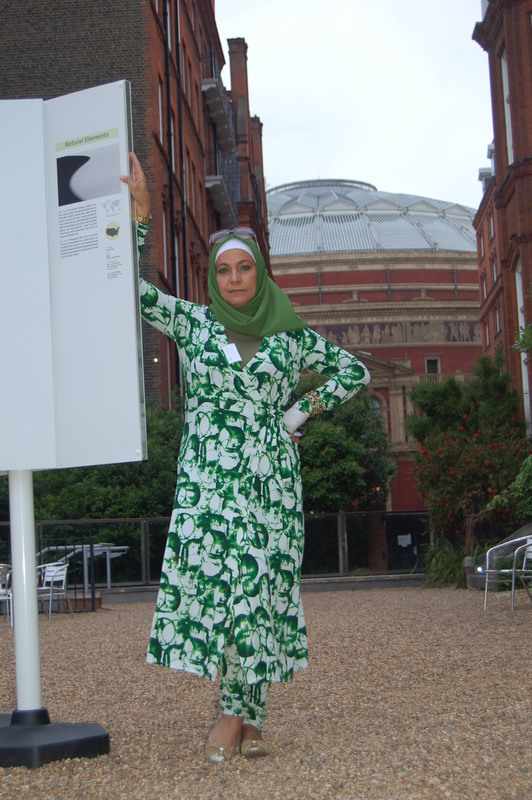 Thanks for the links to Green Muslims and EcoMuslims in America. Can’t wait to read the book! Anybody reviewed it yet?